1.Preheat oven to 375°. Spray muffin tin with cooking spray. In medium bowl, stir mozzarella, Parmesan and pepper until combined. 2.Press 1 wrapper onto bottom and sides of each cup; evenly top with 3/4 cup sauce and 1/2 cup pepperoni. Evenly sprinkle with half the Italian seasoning and 3/4 cup cheese mixture. Repeat layers, turning second wrapper about 90° from first wrapper. Top with third wrapper turning 90°; evenly top with remaining sauce and cheese mixture. 3.Bake 16 minutes or until tops are golden brown, edges are crunchy and cheese melts. Let stand 10 minutes before serving. Sprinkle with basil, if desired. 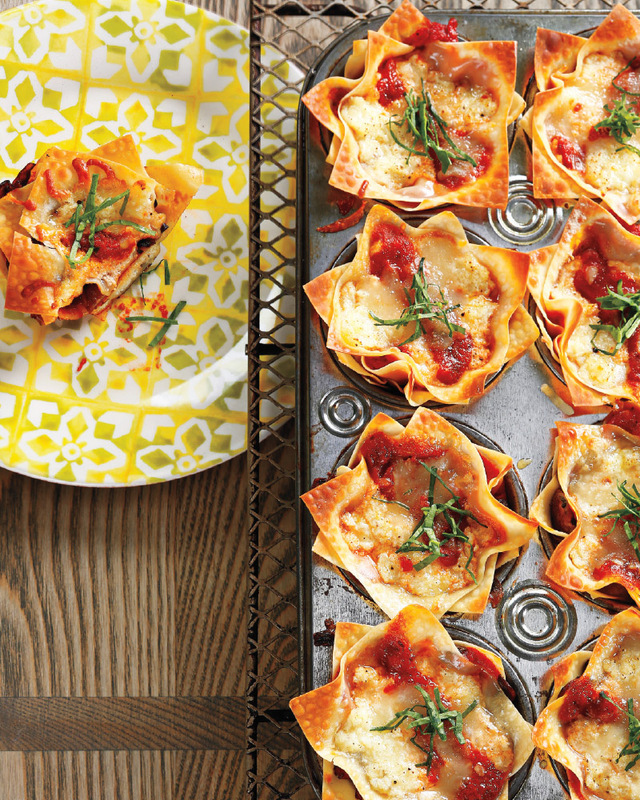 Lasagna cups can also be prepared in 12 (5-ounce) ramekins sprayed with cooking spray.